Your student accommodation is a five-minute walk from Whitworth Park, which is the ideal spot for a morning run. It’s also home to The Whitworth art gallery, which houses an impressive international collection. Manchester city centre is 20 minutes away by bus; spend your weekends shopping, exploring the city’s museums, or get tickets to see Manchester United play at Old Trafford football stadium. Later meet friends in local pubs like Turing Tap. 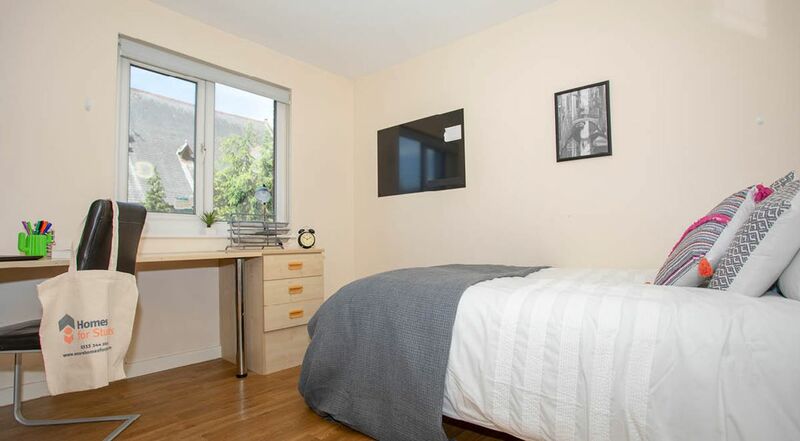 Your student accommodation in Manchester puts you a 15-minute walk from lectures at University of Manchester and 20 minutes from Manchester Metropolitan University. Take advantage of the bike storage and save time when you cycle, or stay warm and dry and go by bus. Car parking is also available. 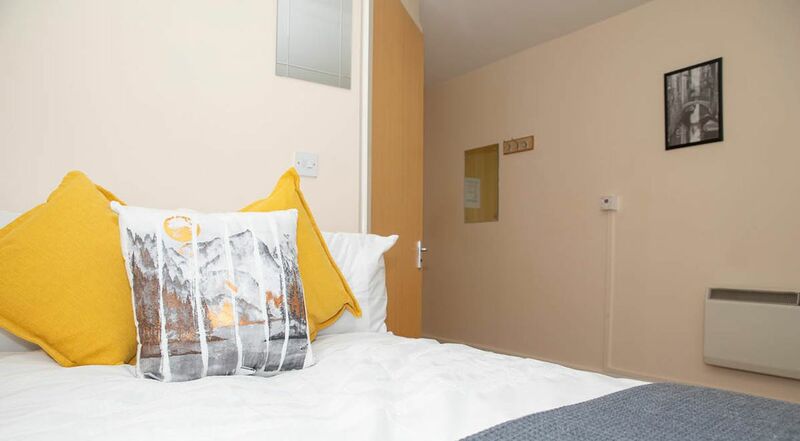 At Park View you’ll have an en-suite room in a four-, five- or six-bedroom apartment. Each apartment has a fully-equipped kitchen, complete with breakfast bar and stools. There’s also a lounge area with sofas and a TV where you can relax with your flatmates. There are shared laundry facilities on-site. 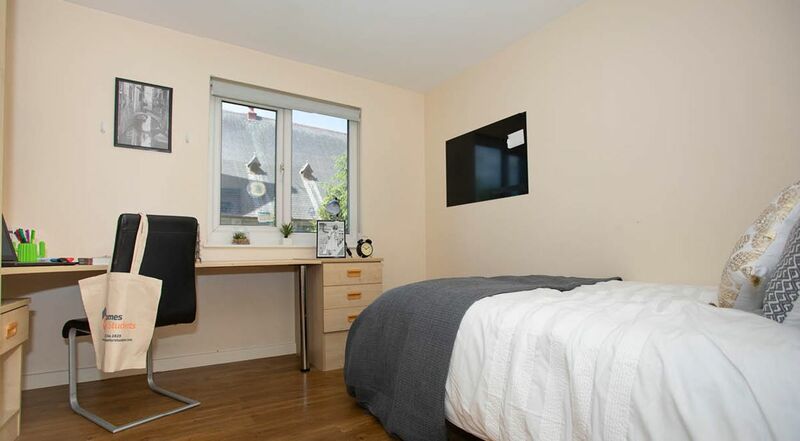 Get to know your neighbours in the common room, or sit at the desk in your room, connect to the free Wi-Fi and focus on your studies. You won’t have to worry about a thing as bills are included in your rent, and there’s CCTV, secure entry and 24-hour security. Wir haben leider keine Unterkunft gefunden, die deinen Wünschen entspricht.Alle Privatzimmer in Park View ansehen.